Despite growing tensions, Washington is unlikely to simply abandon the Iran nuclear deal, but will rather use sanctions and accusations to provoke the Islamic Republic into withdrawing from it, a former member of Iran’s National Security Council told RT. 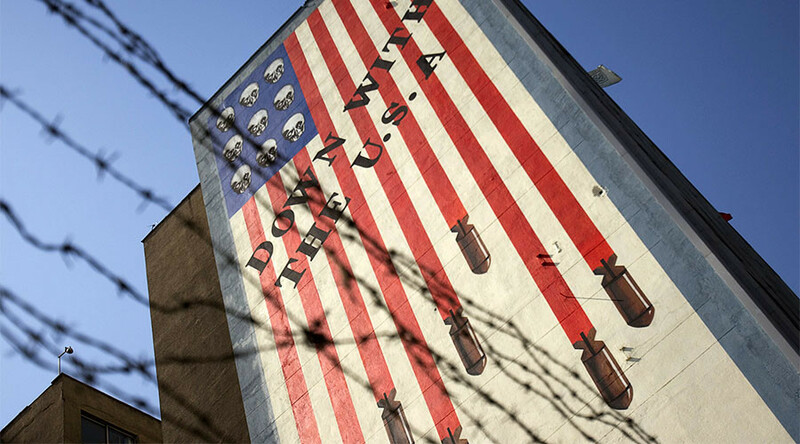 US President Donald Trump’s administration has recently imposed new sanctions on Tehran, accusing the country of sponsoring terrorism. This rhetoric is not new for the US President, who said dismantling the deal was at the top of his agenda while still on election campaign trail. 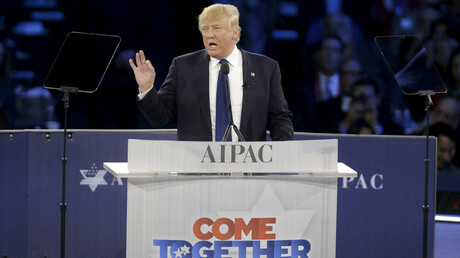 “My number one priority is to dismantle the disastrous deal with Iran,” Trump said speaking before AIPAC in Washington, DC at the time. On numerous occasions, Trump has criticized the deal itself, saying that his predecessor Barack Obama had made too many concessions. Yet according to Seyed Hossein Mousavian, who personally negotiated the nuclear agreement for Iran, Washington won’t really just up and quit the deal. “I still believe the US is not going to withdraw from the deal,” he said. “They would try every other venue in order to make Iran angry. Because when Iran cannot benefit the economic benefits of the nuclear deal, then why Iran should continue to be committed to nuclear agreement? Here is the game, I think, the US would try to play,” Mousavian told RT’s SophieCo show with Sophie Shevarnadze, while noting that Iranians are “clever enough” not to fall for the US’ provocations. “Iranians, they are clever enough, I believe, as long as legally the deal is not violated, I don’t believe that they would violate the deal. “Iran is very stable, if not the most stable country in the region, and Iran is very powerful, if not the most powerful in the region,” Mousavian said. The 2015 deal between Iran and six leading world powers, which places limits on Iran’s nuclear program, was struck to prevent Iran from developing nuclear weapons. In exchange, the UN, US, and EU were to lift economic sanctions imposed on Tehran. In January, Iran conducted ballistic missile tests that Washington’s new administration claimed violated the spirit of the 2015 deal. US Defense Secretary James Mattis, for instance, said Iran “has been put on notice,” warning that Tehran’s actions are known to Washington and being closely watched. He even went so far as to call Iran “the single biggest state sponsor of terrorism in the world” – without giving any specifics to back his allegations. 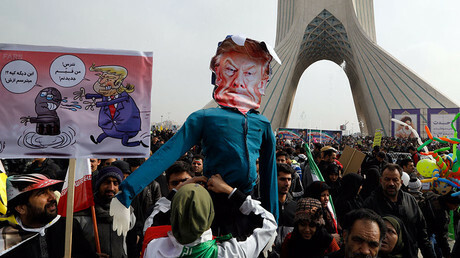 Mousavian states that any talk of violations on Iran’s part stems from Washington’s failure to actually read the nuclear deal, which does not cover rocket development, although a UN Security Council resolution endorsing the accord “called” on Iran to refrain from developing nuclear-capable missiles. “I think neither Trump nor his new team, they have not really had time to read the nuclear deal, the JCPoA [Joint Comprehensive Plan of Action], because it is 170 pages, too much technicalities, they might not have time to go through different resolutions – and therefore, they really don’t know what they’re talking about. “There’s international consensus, the world powers, the P5+1 who have signed the deal with Iran, the IAEA, that missile activities of Iran ha[ve] nothing to do with the nuclear deal. It is not a violation of a nuclear deal. Here, there’s no dispute… Russia, China, and Europe – they believe it is not a violation of the Resolution 2231. This is only Trump administration,” Mousavian stressed. Russia has repeatedly spoken out against making any changes to the agreement. Russian Deputy Foreign Minister Sergey Ryabkov has warned that revising it would be a plainly dangerous move. Mousavian says it is unlikely that the powers that are party to the deal will let it simply be ripped up. “It is clear, already, Europe has mentioned very openly that they are not going to renegotiate the deal, and the US should not withdraw. Russia has publicly said, China has publicly said – therefore, the international community is united to support the deal. “Also, the international community is fully convinced that Iran has complied with all its commitments within the nuclear deal. The IAEA [International Atomic Energy Agency] frequently has said that Iran has complied comprehensively with every commitment within the nuclear deal. Therefore, from the international point of view, the deal is working well,” Mousavian stressed.